Manufactured in China using UK designs, Lehui’s kegging production lines are highly efficient and are used by breweries around the world. 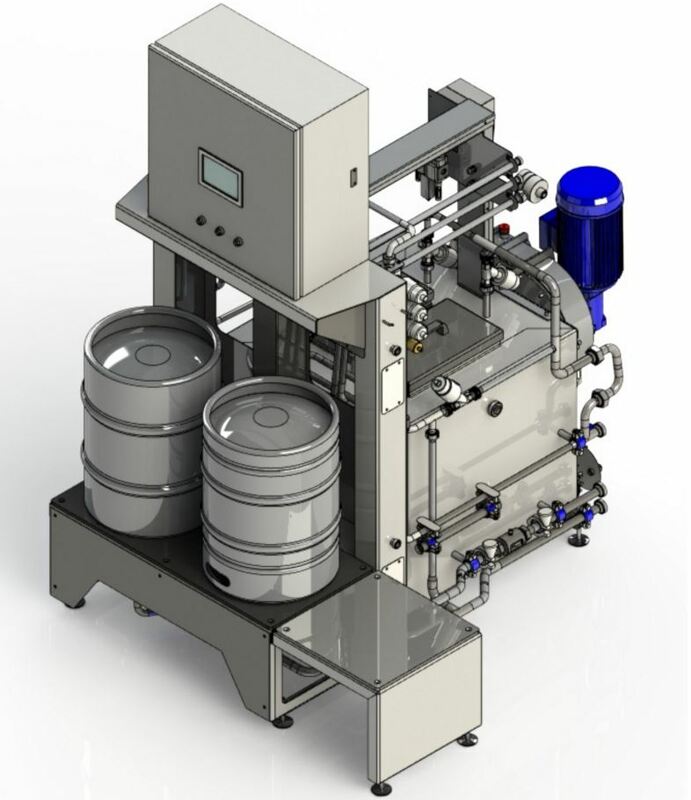 The KWF35 Keg Washer & Filler is a small, compact machine that is designed to wash, sanitize, condition and fill kegs at a rate of 35 containers per hour. It is simple to operate with a fully automatic control system that features a touch screen interface. The filling system is designed specifically for CIP and the fill head is completely separated from the wash head, providing complete integrity and separation of washing fluids and product. © 2019 Lehui Craft. All Rights Reserved.